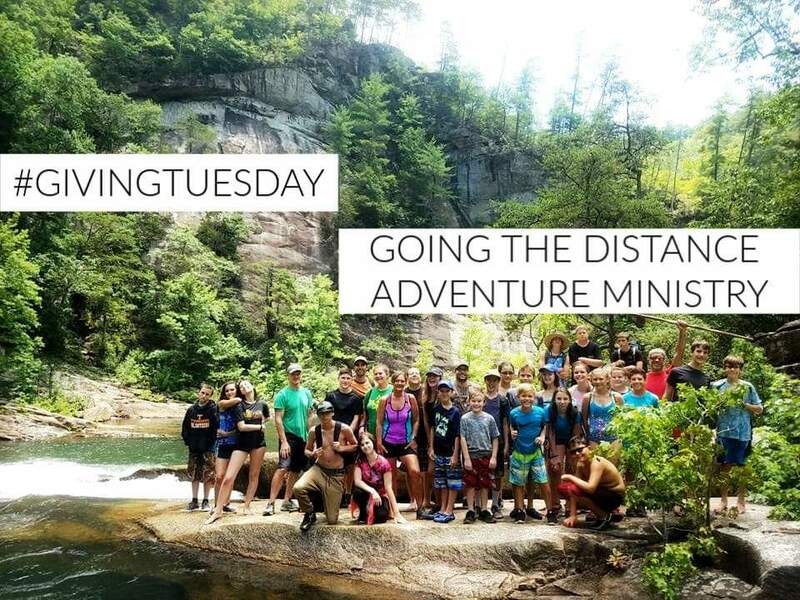 Support GTD today - Nov 27th >>> #GivingTuesday! This year, you can double your impact as Facebook and PayPal will match donations on Nov 27th up to a total of $7 million! To have your contribution doubled you need to donate online through this Facebook link on Tuesday Nov 27th (TODAY!) before the $7 million dollars is all used up. Matching donations begin online PROMPTLY AT 8am and expire as soon as all $7,000,000 is used up across the globe. The funds will go fast! The earlier you donate the better chance you have at doubling your contribution. BE PART OF SOMETHING BIG! CLICK HERE TO DONATE! GTD TURNS 23 YEARS OLD IN JANUARY AND IT'S TIME TO REPLACE OUR GEAR & EQUIPMENT!! Thank You So Much! God Bless You!! Regardless of circumstances and life situations we have so much to BE thankful about. Don't wait to be thankful until you feel thankful. It doesn't work like that. Feeling thankful results from being thankful. It's an intentional act of the will that, in turn, affects your emotions. Emotions follow thought patterns. Find the silver linings in every dark cloud and you'll find that the silver is a reminder that "there is sunshine on the other side of those clouds" (as my best once said). Being thankful in harsh circumstances is one of the greatest acts of faith we can display. That faith pleases and glorifies God... and it renews your mind... and that transforms your life. I'm so glad we have a day set aside to focus on the profound importance of being thankful. It's not only a great way to live one day each year, it's a great way to live everyday of the year! And, it just so happens to be God's will for your life. As my pastor once said, "God takes complaining personally." I think God also takes the act of giving thanks personally. In that moment you make God's heart rejoice! 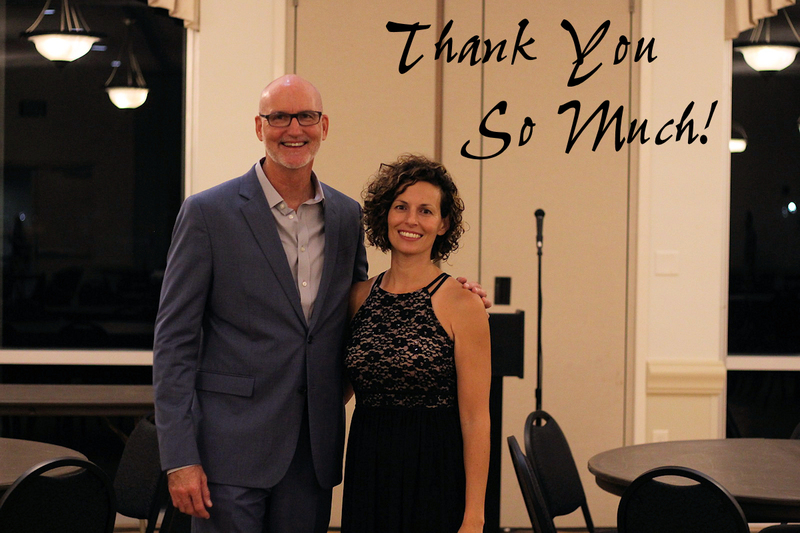 WE ARE STILL SAVORING LAST WEEK'S ANNUAL BANQUET! 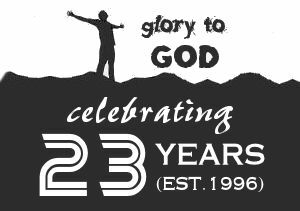 Lord willing, we are looking forward to kicking off our 23rd year of ministry in 6 weeks!! SPECTACULAR NEWS!! 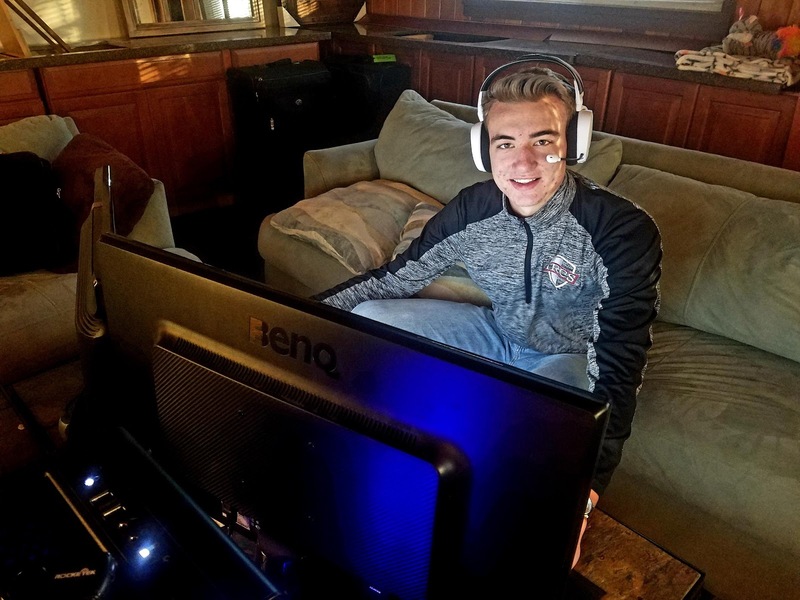 $50,000 RAISED SO FAR! God blessed us with an incredible banquet last night which included touching testimonies, inspiring speeches, delicious food, beautiful ambiance, special moments, great highlights, amazing volunteers, special awards, overflowing attendance, and magnanimous donors!!! Thank you to everyone who helped make last night an astounding success! 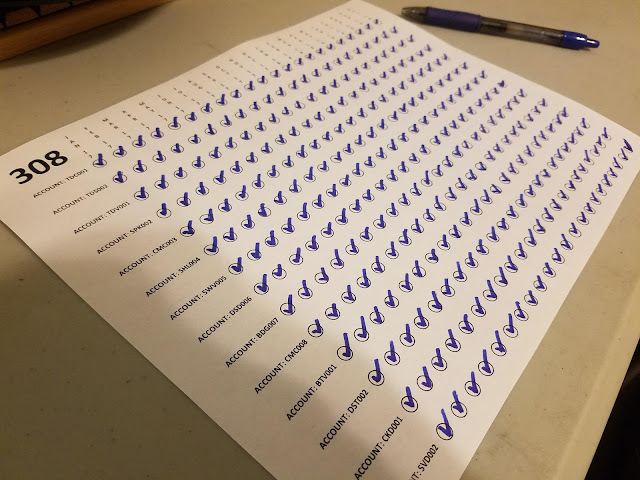 We finally completed the tally this morning around 3:30am and the preliminary results are in. 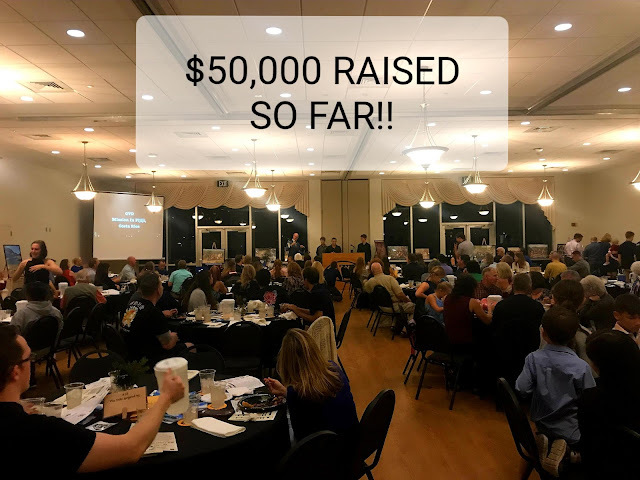 We are at an abounding $50,000 raised!! That is a total of $19,000 in donations and $31,000 pledged over the next 12 months. Wow! We are jaw dropped!! All 3 of our Matching Donation Challenges were achieved last night!! $15,000 was literally double to $30,000 through these challenges!! Thank you so much to our 3 anonymous givers that leveraged their generosity into an overflowing blessing to GTD!! And thank you so much to the many donors last night who met the challenge with executing generosity! We are so blessed and honored to be among such caliber of quality human beings! We praise God for each and everyone of you!!! We are eternally grateful. So we are off to a miraculous start at our goal of raising $100,000 by Jan 31st (Praise the Lord!). We have several Ministry Partners that weren't able to be there last night that may sign back up for another year of generous support. We have "Giving Tuesday" coming up in 2 weeks. We have end-of-the-year donations coming up in December. We have new budget donors coming up in January. So, with 2.5 months of fundraising to go we are beyond thrilled to be half way to our goal!! Lord willing, that 100k by Jan 31st is within sight and we are pressing on towards the goal!!!! 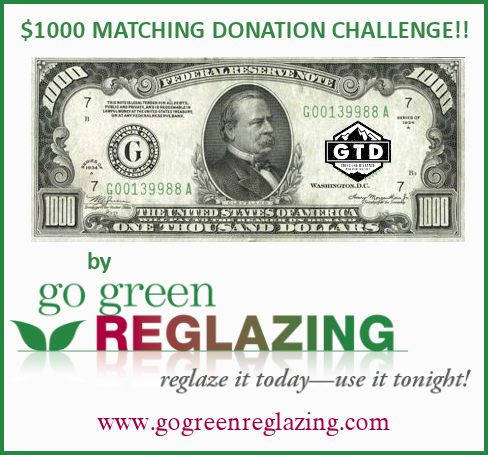 GTD has 3 different donors that are offering to match donations dollar-for-dollar up to a total of $15,000!!! That means that if you donate $15,000 they will too for a total of $30,000!!! You don't have to be at the banquet to donate. Help us hit our goal of raising $100,000 by Jan 31st!! PRE-RELEASE! TONIGHT'S 2018 HIGHLIGHT VIDEO!! With only a few hours until our Annual Banquet we wanted to pre-release our 2018 GTD Highlight Video titled: "Welcome To Camp!" This was my 16 year old nephew's first GTD highlight video and I think he did a fantastic job! It gives you a small glimpse into what a GTD adventure is like. We hope you enjoy it as much as we do! Buy Christmas gifts from the comfort of your own home and bless GTD! Buy Christmas gifts from the comfort of your own home and bless GTD! ...Win! Win! Win! 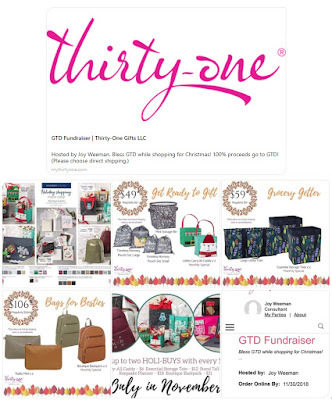 Click (or copy & paste) this link to shop some pretty incredible items on "thirty-one" (Proverbs 31) for Christmas gifts or personal use. 100% proceeds go to GTD! (Please choose direct shipping). Deadline ends Nov 30th. Thank you Jeantette Dunham and Joy Weeman for putting together this shopping spree fundraiser for GTD! You guys are fantastic!!! 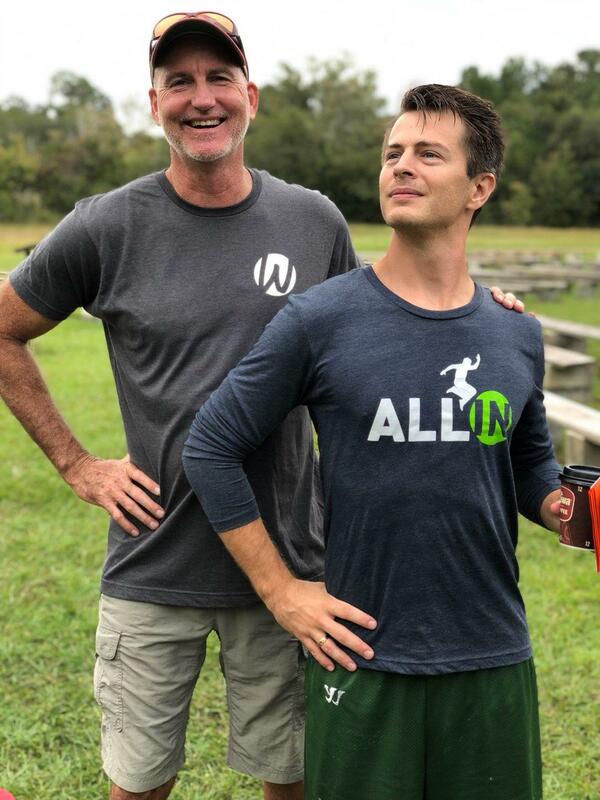 We are honored, privileged, and blessed to have our dear friend Pastor Steve Ringelspaugh - the Student Pastor of Skycrest Community Church - as our main speaker tomorrow night at The GTD Annual Banquet!! This guy is AWESOME and SO MUCH FUN! We can't wait! Join us for a special night of celebration, challenge, and preparation! 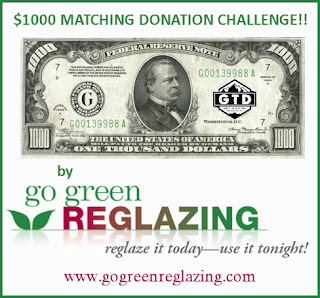 Praise The Lord, we successfully completed the $1000 Donor Match Challenge issued by Go Green Reglazing over the weekend! Thank you Go Green & GENEROUS GTD DONORS!!! NOW we have a $2000 Donor Match Challenge issued by one of our great Anonymous Donors!! Thank you Mr & Mrs Anonymous!! 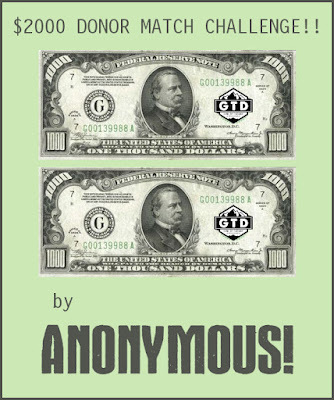 Mr & Mrs Anonymous is matching every dollar you donate up to $2000!! What a great way to literally double your impact!! 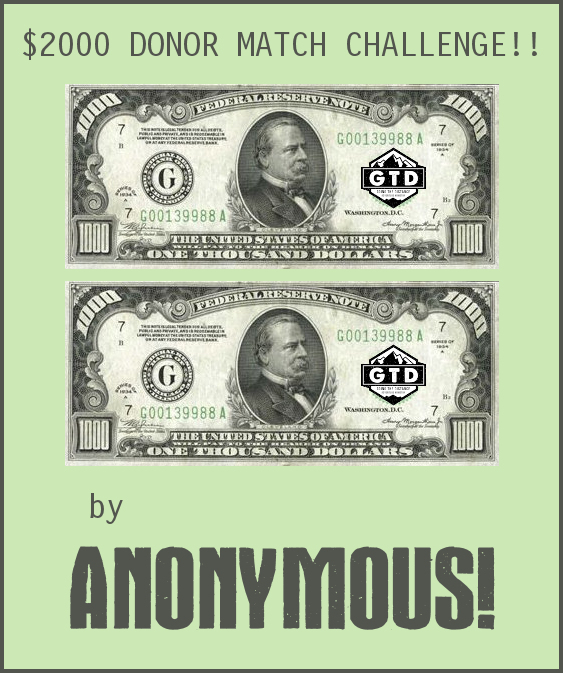 Help GTD hit our goal of raising $100,000 by Jan 31st!! That's $33.4k each month for 3 months (Nov, Dec, & Jan)... or about $1000 per day! In Christ, we can do this!!! It's time to replace (or, in some cases, repair) our adventure equipment & gear and launch GTD into our 23rd year of ministry!! We've already raised nearly $10,000 in 12 days!! Praise God! Keep us on track to hit that $100,000 goal! THANK YOU SO MUCH!!! GOD BLESS YOU! 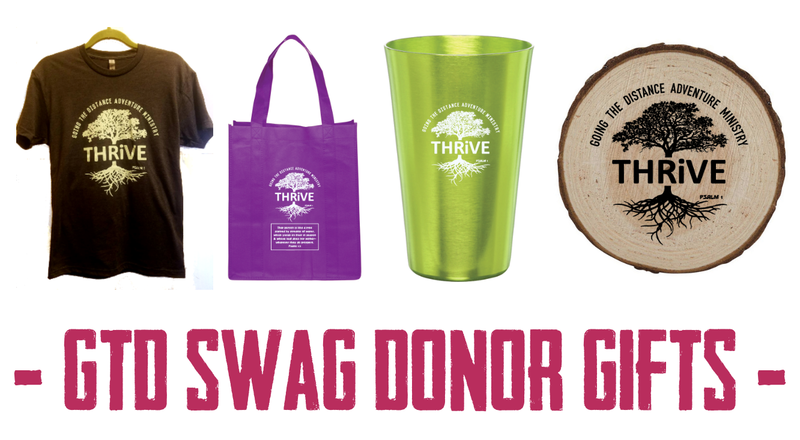 GTD SWAG DONOR GIFTS DEBUTING TUESDAY NIGHT! We're excited about this year's gifts for our donors debuting at Tuesday night's banquet!! The more you give, the more you get! It's just a small way for us to show our gratitude and for you to represent, promote, and have a prayer reminder of the ministry you support. We are just a few days from our Annual Banquet... what a great way to kick off our fundraising quest to raise $100,000 by Jan 31st! If you love what GTD does and the impact it makes then this a great opportunity to invest in the cause!! 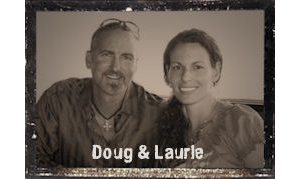 We are preparing for our 23rd year of ministry and it's time to replace much of our adventure gear & equipment. Let Go Green double your donation and double the impact in & through GTD!!! 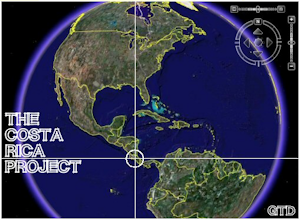 GTD is a nonprofit 501(c)(3) organization. All donations are tax deductible. Thank you Chuck Stewart, AxCelMark Corp, & Heather Williamson for our new GTD T-shirts!! Just in time for our Annual Banquet! Wow, this was a major task that had built up over the past 22 months. It took me 6 weeks to enter $350,000 worth of business & personal expense receipts, but Hallelujah, I completed the task today. I'm usually on top of the detailed financial entries, but the past 2 years have been a whirlwind of activity that kept pushing the entries back month after month. 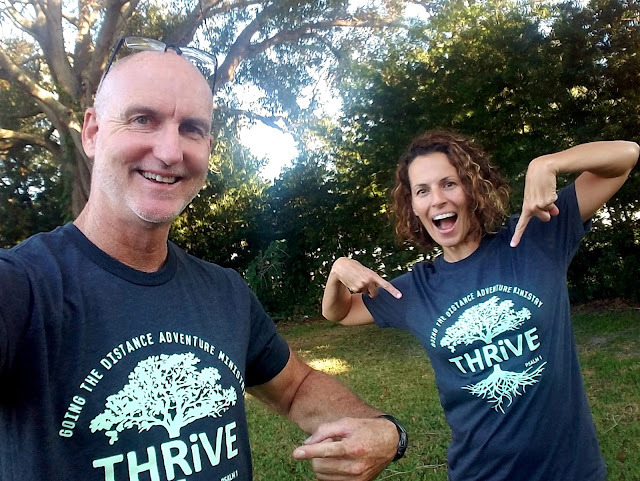 It started in January 2017 when we were in Costa Rica for nearly 3 weeks running a huge mission trip. Then we returned to one of our largest retreat seasons ever that lasted till May. Then it was off to run the summer camps. Then it was calling off the wedding, running our fall events, and preparing for the banquet. Then I found out I had to relocate so it was immediately on to looking for a new place, attending open houses, applying for a home loan, packing up everything, and moving - all while running our winter & spring retreats. Then it was off to TN, GA, & NC to run our summer camps. Then it was out to Utah to run our out-west trip. As the months flew by so did the opportunities to enter the expense receipts. I was up to date on entering all of our income and paying our monthly bills, and I had a working understanding of our general monthly expenses. Thankfully the IRS gave us an extension until Nov 15th to file our corporate taxes. But to file our taxes (and get caught up-to-date) I had to tackle the mammoth job of entering 1/3 of a million dollars worth of business and personal expense receipts from a total of 14 accounts for the past 22 months. That's 308 months worth of statements (14 x 22 = 308). Each statement averaged about 45 minutes to complete which totaled about 230 hours (or six 40-hour weeks) of detailed data entry. I wasn't looking forward to this at all. But day after day I kept chipping away at it, and praise God, today I finished!! I feel so liberated... so free... so caught up!! And the greatest part is that I only have 2 months left in 2018 so I will actually have this years finances completed and ready to turn in as early as January!! Man, that feels so good! And it frees me up to get to the real work of the ministry - building / maintaining relationships and running God-awesome events!